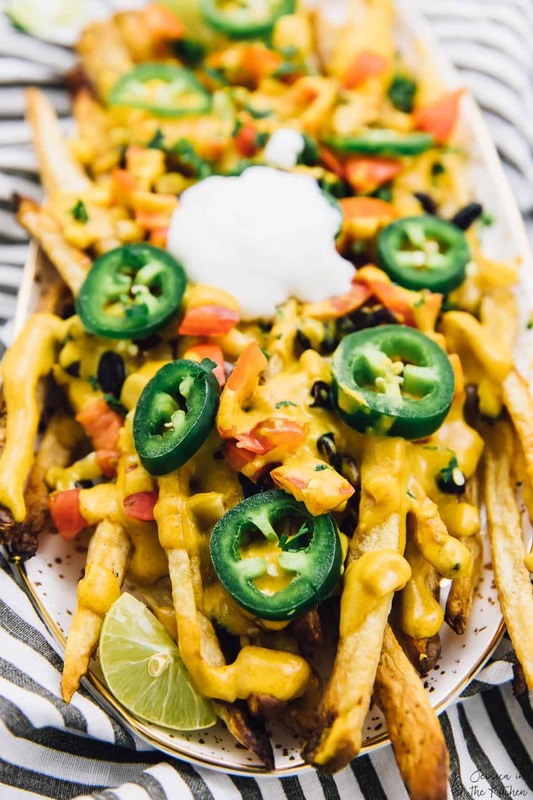 You NEED these Vegan Loaded Nacho Cheese Fries for your next party! 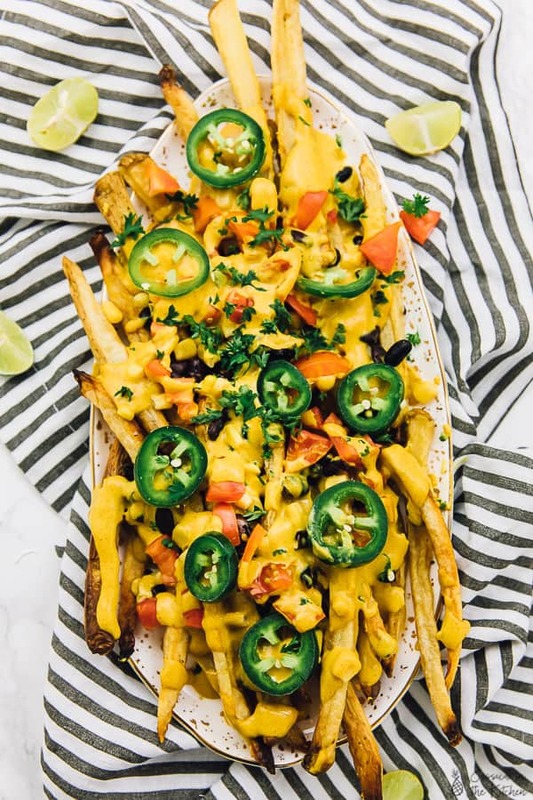 They are loaded with my favourite vegan nacho cheese sauce and are SO delicious!! Happy Friday before Super Bowl Sunday!!! 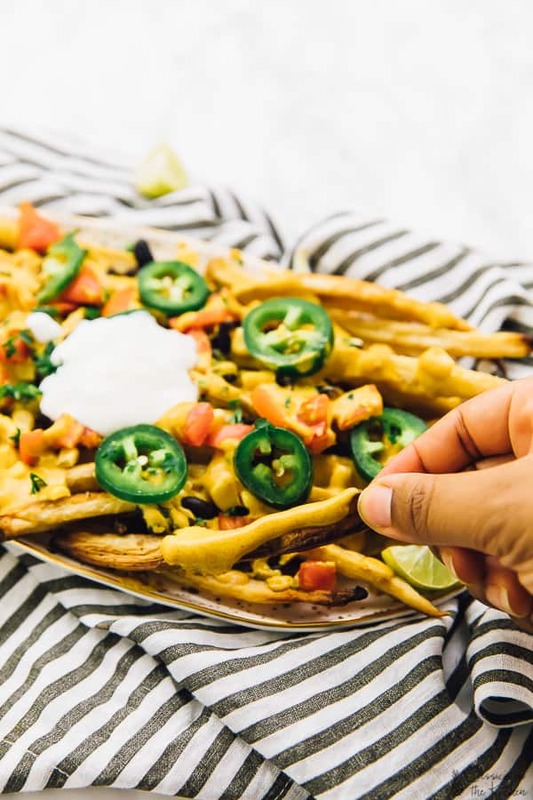 If you’re still looking for a quick and easy meal to bring to your Super Bowl Sunday party, then you’re looking for these Vegan Loaded Nacho Cheese Fries. They are cheesy, spicy, crispy and creamy all in one. I mean, flavour loaded for sure, friends. Best part is that for the cheese sauce you basically dump all the ingredients in the blender and blend away! I confess, I wanted to eat all of these by myself. But I graciously shared them with the Mr. basically they are easily a 2 person meal, or a 4 person snack for sure. 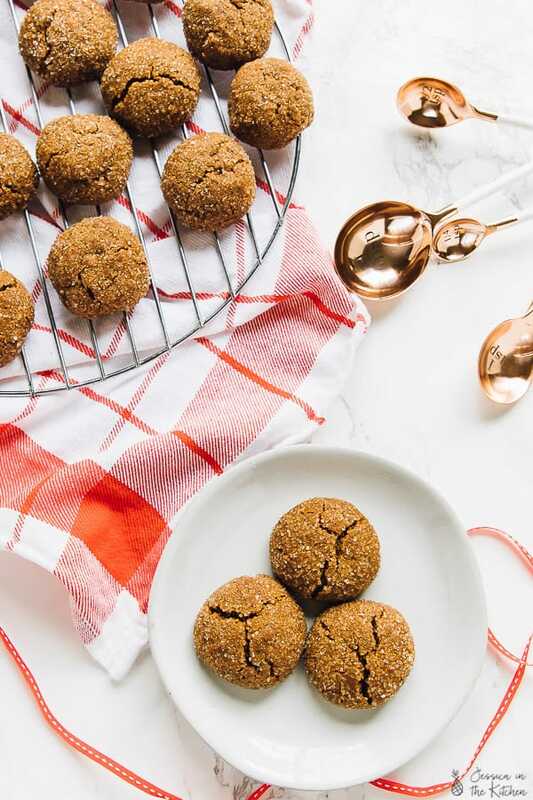 Bring these to your Super Bowl party and assemble them there and share with your friends to secure those friendships, even if you’re voting for opposing teams. Let’s talk about that sauce though. This is the sauce that I used in my Vegan Mac and Cheese post, and I have been in love with it ever since. It’s the perfect nacho cheese sauce. I think I might do a post on it since it definitely deserves its own post. This sauce is so cheesy. A comment I get a lot on this cheese is that when readers taste it, they’re shocked that it’s vegan. So know that you can have your cheese (and eat it?) and well, smother your whole life in it. Now, you can literally do anything your heart desires with these toppings, which is why I left the instructions so loose. I didn’t measure out specific quantities because you shouldn’t. Like lots of black beans? Add lots. Don’t like corn? Leave it out. The queen here really is the cheese sauce and those incredibly crispy fries. The key to those fries is no salt and a little oil. 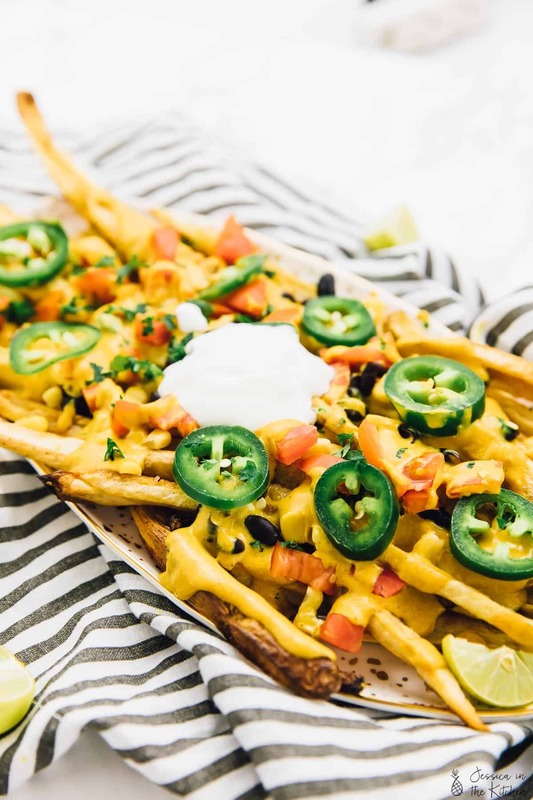 It crisps them right up and so much that you will probably eat lots “taste-testing” before smothering it all in vegan cheese. Enjoy fries, and Happy Super Bowl when it comes! Preheat oven to 450°F/230°C. Line two baking sheets with a silicone mat or lightly oiled parchment paper (I highly recommend the silicone mat). Cut your potatoes into your desired fry shape and arrange on the pan. Drizzle the oil over the fries and rub into the fries. It isn't a lot of oil but it goes a long way. Do NOT add salt at this point as it won't allow the potatoes to crisp up. Arrange the fries on the baking sheet so that none of them are touching at all. Bake for 40 minutes in the oven. You can check them around the 30 minute mark to see if they are crisp enough, but mine took 40 minutes to get really crispy. 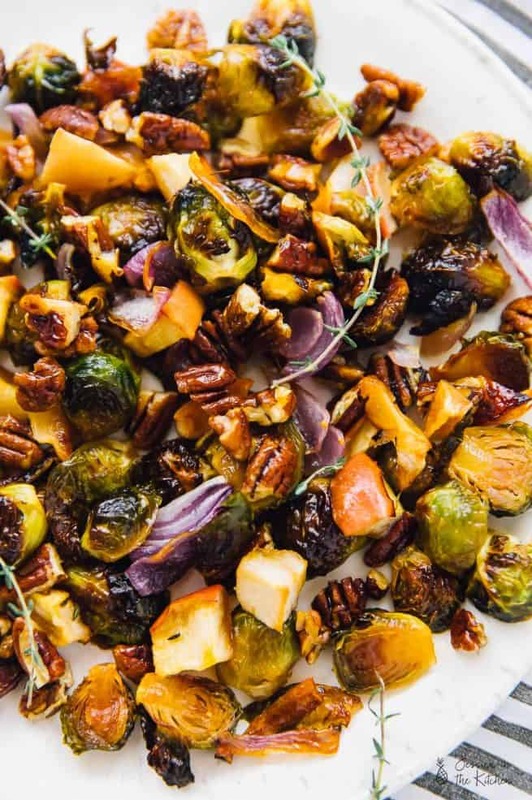 Remove from the oven and add salt and pepper to season. In a pan over medium heat (I used Greenlife pans) heat the oil add in the carrots, onions and the garlic, stirring to combine. Cover with lid and allow to steam/roast until carrots are tender, about 10 minutes. 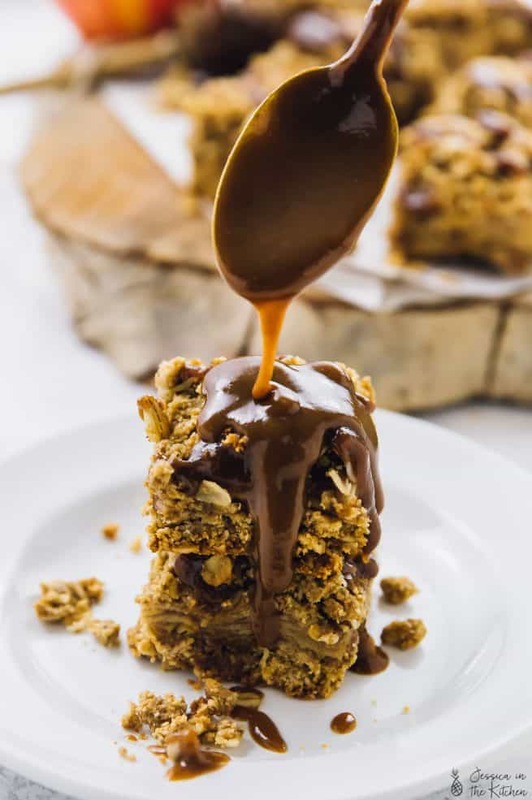 In a large high speed blender add the carrot mixture, cashews, salt and pepper, ground mustard, lime juice, tamari, nutritional yeast, paprika, ground nutmeg, and almond milk. Blend together for about 1 minute on a strong speed, until sauce is completely smooth and incorporate. Taste and add more salt if necessary. This probably makes much more than you'll need, so you can bottle it and place it in the fridge and use it for Mac and cheese or other purposes! If you don't want so much extra, you can cut the nacho cheese sauce in half! Layer your plate with fries. Top with some nacho cheese, and black beans, tomatoes, jalapeños, corn and ingredients in your favourite order! Serve with limes on the side. I’m impressed with how this dish looks like! It’s definitely amazing! Many thanks for sharing the recipe!